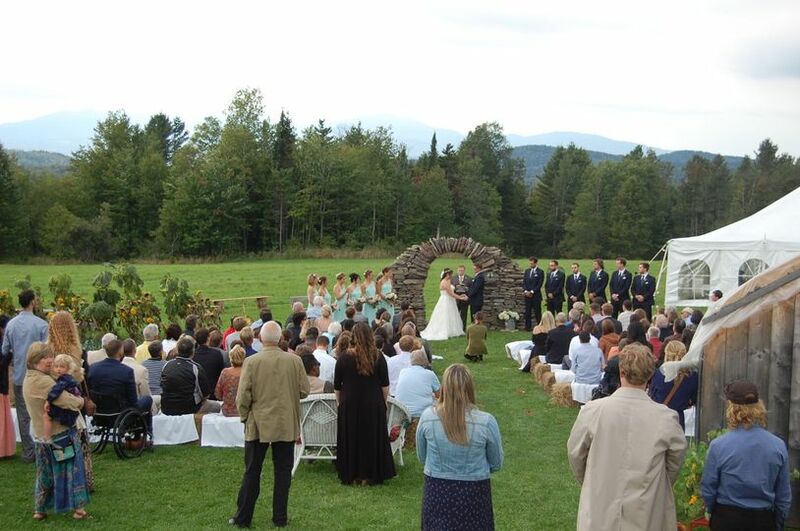 A one of a kind beautiful farm venue with amazing Mount Mansfield, Worester Range, Mt. Elmore and sunset views. 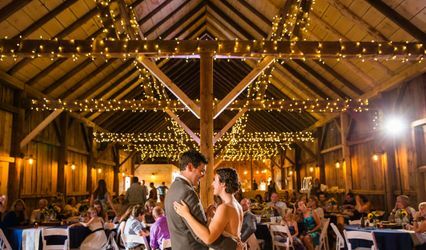 A one of a kind farm venue. 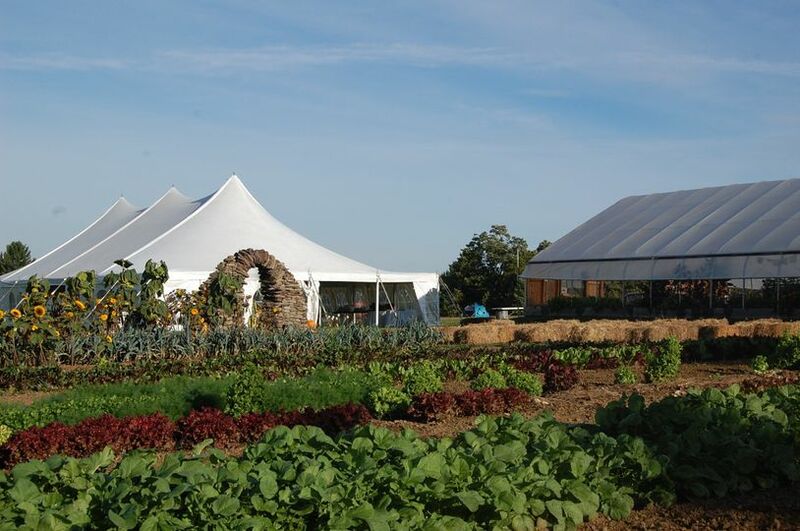 Host unique dining experiences, business lunches, dinners, meetings, special events, reunions, weddings, Mitzvahs, workshops and more in our event greenhouse! Crops are growing in the parameter! We also offer 5 nice, rustic tiny houses, a 2 bdrm apt. & 3 bdrm farm house for rent. We grow flowers, produce maple syrup, have potted herbs, wedding favors as well as many other unique ideas for your special event. 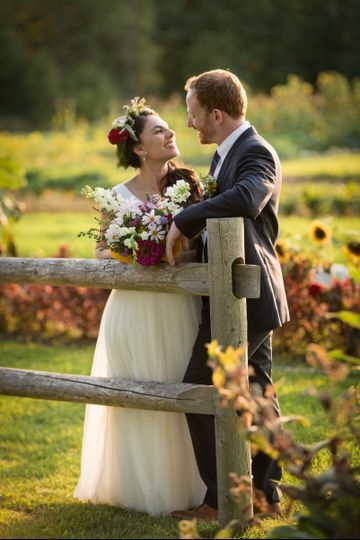 Get married by a farmer! Sara is a certified Justice Of The Peace. 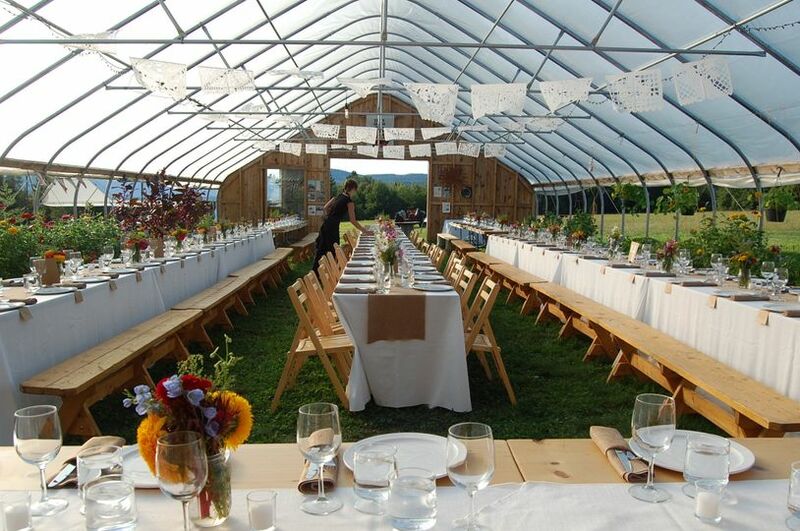 Sandiwood Farm offers catering by chef Sandi, a New England Institute graduate and owner of Vermont Harvest Catering. Chef Sandi will help you plan the menu you want, plated, buffet, real BBQ, smoked dishes, sushi, kosher, she also owns a certified mobile food truck and smoker which can travel to your destination as well. The menu can be a truly localvore dinning experience if desired with most items grown on the farm! Linens, dishes, tables, chairs, bar and service all available or come with venue rental. Contact for info. 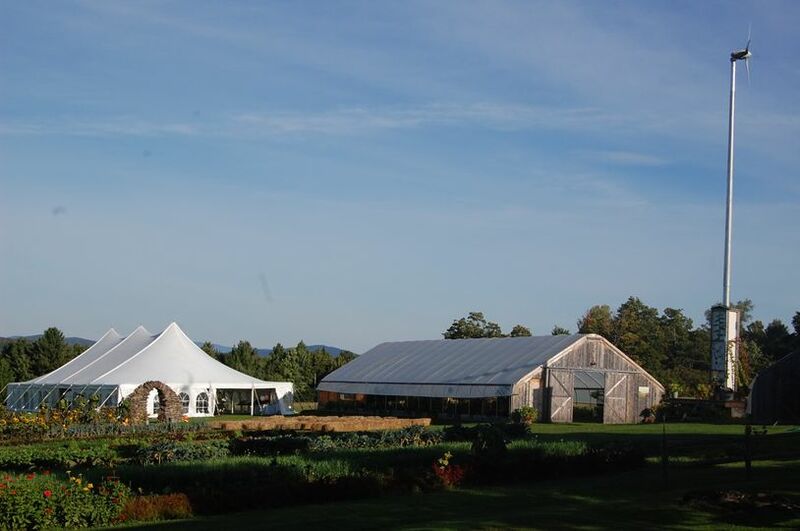 Sandiwood Farm has a 30' x 70' unique event greenhouse, comfortable seating and service up to 120, but we;ve hosted over 300 guests with renting an event tent. I would highly recommend Sandiwood for your wedding (or any other event). 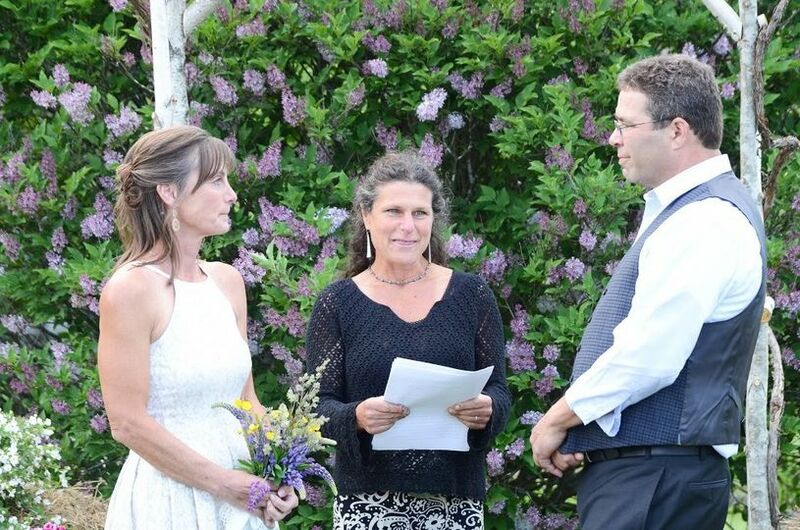 Our daughter, Lydia, was married there in July 2018. 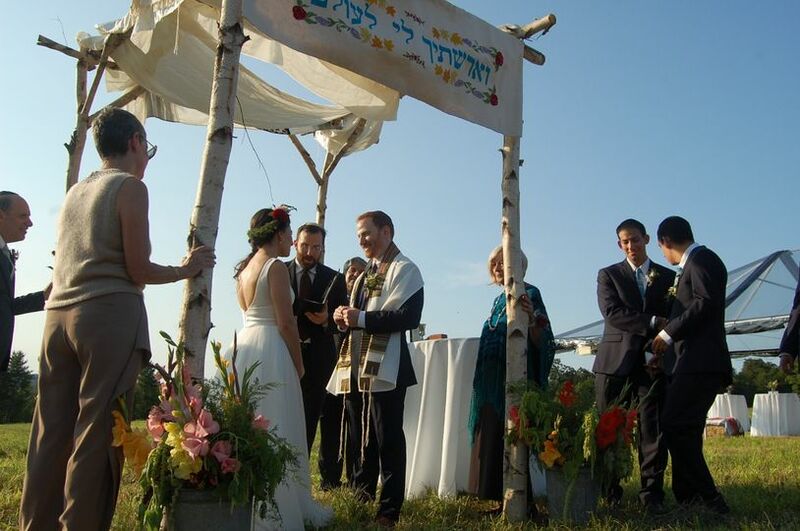 She and her fiancé, Andreas, were living in Germany and chose Sandiwood sight unseen relying on her mother’s and Matron of Honor’s recommendation. They were unable to access Sandiwood’s website from Germany’s internet connections. 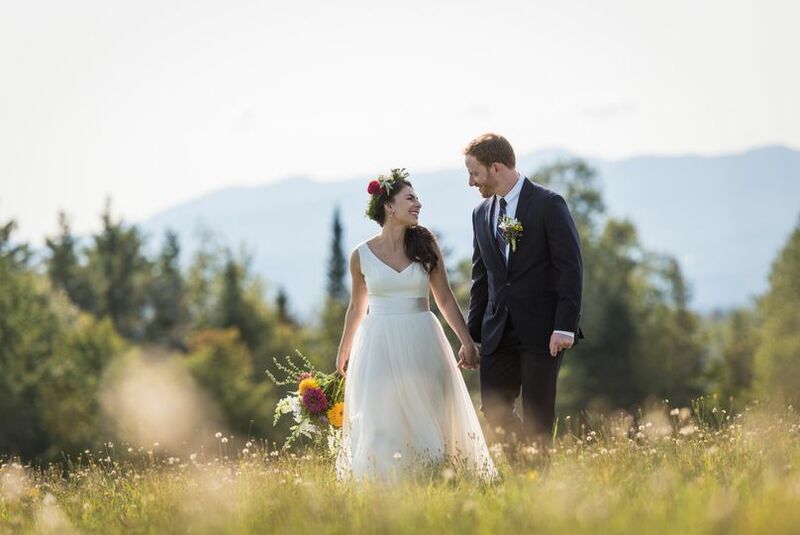 Having grown up in Vermont, Lydia wanted a pastoral Vermont venue. Sandiwood fulfilled all her requirements. It was a rustic, serene, gorgeous setting with a continuous and refreshing light breeze. The stone arch added charming appeal to the ceremony. 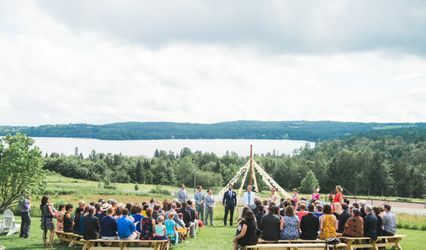 The greenhouse provided an intimate setting for the dinner and the grounds allowed Lydia and Andreas to include recreational aspects of a German wedding for the American guests. Sara and Bob were easy to work with. They made sure that everything leading up to and including the day of the wedding, ran smoothly. 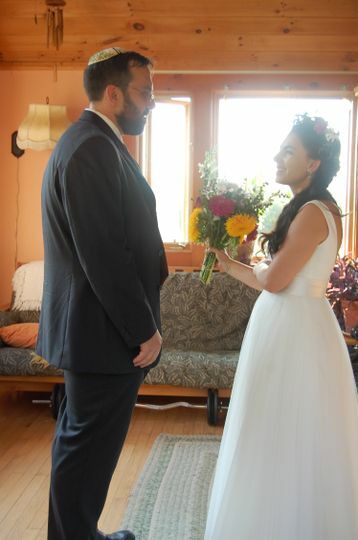 They made helpful suggestions, shared with us things that worked for other weddings, and never pushed their own agenda. Sara provided the lovely flowers for the bridal party from her organic flower beds. We had guests from Germany, China, and at least a dozen US states. 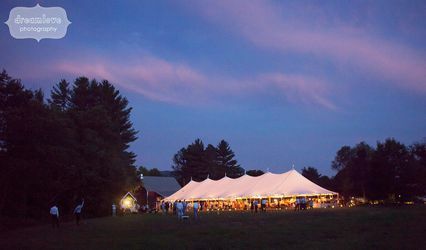 The guests and the wedding party raved about the outstanding food, that was catered by Sara and Bob’s daughter, Sandi, from VT Harvest Catering. Sandi served organic greens grown on the farm and used as much locally sourced food as possible. On a personal note, I wish I could go back and relive our daughter’s wedding day because everything was so magical, at Sandiwood. Beautiful venue! Sara and Bob were so helpful making sure we had a perfect event!